I've got a fun project coming up. My three local grand kids along with a couple of friends are opening an ice cream shack in three weeks. I've got the fun job of making their aprons to be used in the shack. They've had many decisions to make in planning this little business. 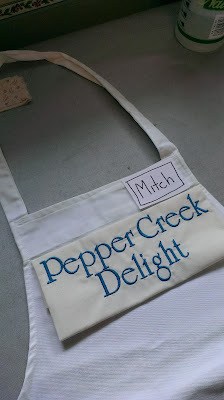 After lots of options, they've chosen Pepper Creek Delight as their name. This is mainly because they live in the Pepper Creek subdivision. They have chosen to have black aprons, with ice cream colored embroidered names. I did a sample embroidery last week and have decided on some adjustments and determined the size and style of apron. Today, I bought the black twill fabric and I'm ready now to make the five aprons. I'll work on that over the next few days. Then, using my fancy new sewing machine, I'll do the embroidery on the aprons. Each apron will use a different color thread for the embroidery. 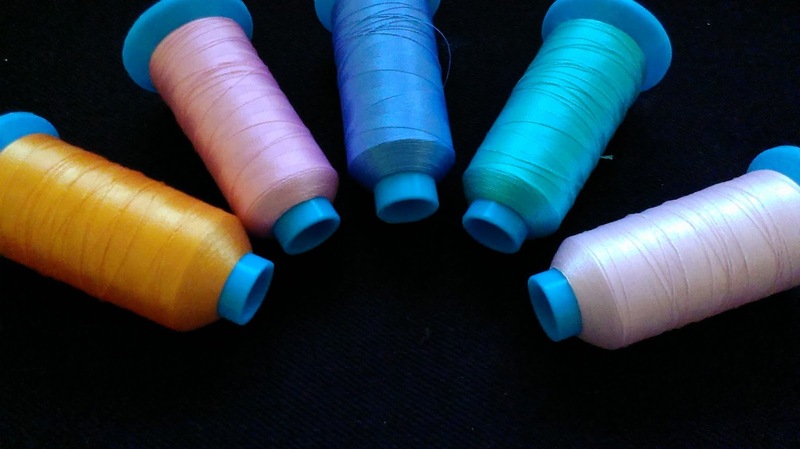 Final sewing and packing up.